Johan Linton is an architect, designer, teacher and researcher. He has a Masters Degree in Architecture, a Masters Degree in Engineering Physics and a Licentiate Degree in The Theory and History of Architecture. One of his main fields of study is the works and theories of Le Corbusier and he has been invited speaker at the “Rencontres de la Fondation Le Corbusier. He has published a large amount of texts on the Swiss-French architect. He is currently working on a comprehensive dissertation on Le Corbusier´s theories of architecture.Johan has also a research interest in the classical History of Architecture and has published text on both the French and Italian renaissance and baroque architecture. For example he edited the only Swedish published contribution on Andrea Palladio in relation to the 500 years celebration of his birth in 2008. He is also interested in contemporary architecture and published a major study on the Swedish architects Bolle Tham and Martin Videgård at Birkhäuser in 2011. 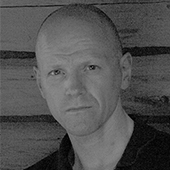 He has also published various texts on the Swedish architect Gert Wingårdh, and texts on international architects such as Peter Eisenman, Rem Koolhaas and Enric Miralles.Johan runs his own practice as an architect and designer, and his furniture has been published and exhibited in Sweden and abroad. He has also created – together with the chief editor Per Magnus Johansson – the Swedish cultural review Arche (2002 – 2010 Psykoanalytisk Tid/Skrift). From the beginning Johan has been a member of the editorial board and responsible for layout and production. He has contributed with texts and translations on architecture, design and art in each issue since the start in March 2002.JL has received awards both for his scientific and artistic work, his works are present in the collections of the Röhsska Museum of Design in Göteborg, Sweden, of the Malmö Museum of Art, Sweden, and of the Kunstindustrimuseet, Copenhagen, Denmark.See further www.johanlinton.com. Linvention dun architecte : Le voyage en Orient de Le Corbusier. Gert Wingårdh : Trettio års arkitektur genom fyra decennier. Mikael Nanfeldt, ed. There might be more projects where Johan Linton participates, but you have to be logged in as a Chalmers employee to see them.